These experiences inspired Rudolph to partner with MAIA and create “The Flow.” The Flow is an innovative, modern weapons curriculum designed to motivate your students to train harder and think more creatively. Starting with a bo staff program, schools that purchase The Flow will benefit from a more diverse curriculum that will keep students excited and increase retention. Rudolph has observed and learned from many different weapons programs over the years and noticed common flaws in each program. The first issue was that nearly every program had very similar combinations and forms to all of the other programs. Even worse, if the programs offered forms for multiple weapons, all of the forms were almost identical in pattern. Some of these programs contained excellent instructional material. But not a single program included any information that would help instructors teach the information to their students. I recognized these flaws when I had the idea to create a weapons curriculum. Therefore, I was sure to address these issues when putting all the pieces together. That’s why The Flow features forms with dynamic patterns that will unlock your students’ creative potential and push them to new levels. Additionally, The Flow has an exclusive instructor-training program. 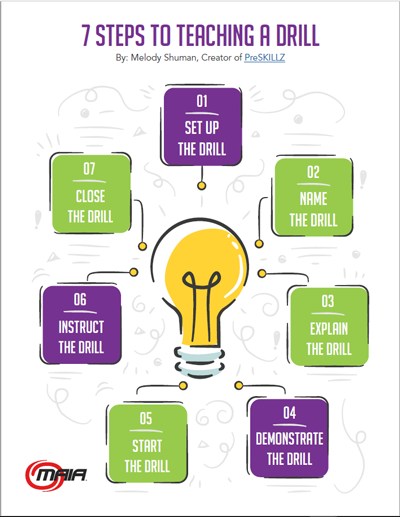 This will give school owners and their staff the tools to learn and teach these techniques on their own, without the aid of videos and tutorials in the middle of class. 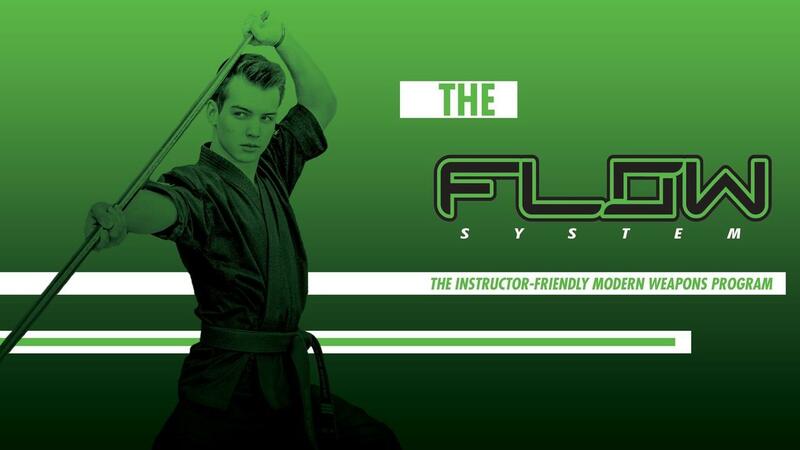 The Flow is the modern, creative and professional method for your students to learn the art of weapons training. Now, it’s time for me to provide some exclusive insights about how the program actually works, and what makes The Flow system so progressive. The program is split into 10 levels and divided into beginner, intermediate and advanced modules. I recommend that the beginners’ three levels take six months to complete, followed by three months each for the intermediate and advanced. On the surface, that seems like a pretty basic annual format. However, it is the flexibility of this structure that makes this program something that every school owner can implement into their curriculum. The recommended six months at the beginner levels is under the assumption that the practitioner has never picked up a bo staff before, or is relatively new to the martial arts. If one of your higher-belt-ranking students wants to start learning bo staff with The Flow, he/she will likely progress faster. The program comes with a comprehensive outline of what your students will be learning each week of the curriculum under the six-month beginner format. If several of your students are more advanced and ready to move on, then simply move on to some of the later learning goals. The modern aspect of the curriculum comes with the progression of the material. Many students drop out of martial arts classes within the first three months of training because they get bored of doing the same basics every time they come to class. Many children start martial arts because of inspiration from a superhero or karate movie star, and they expect to feel like one on the first day. The Flow accommodates this desire through the previously discussed dynamic nature of the forms. Students can work, through the creative mix of combinations and use of some basic manipulation techniques to go with their strikes. Also, the bo staff techniques taught in the program are derived from sport karate. The techniques the students are learning will be the same techniques they could see the pros performing on ESPN TV broadcasts! For more exclusive insight from Jackson Rudolph on the Flow and how it could take your school to the next level read the full article here.